According to study, “House Dust Mite Allergy Global Clinical Trials Review, H2, 2018” some of the major companies that are currently working in the house dust mite allergy are The Lundbeck Foundation, Stallergenes Greer plc, Circassia Pharmaceuticals Plc, Kuros Biosciences AG, Japan Tobacco Inc, Merck & Co Inc, Allergy Therapeutics Plc, LofarmaSpA, Droege International Group AG, CSL Ltd.
House dust mite (HDM) allergy is an allergic reaction to tiny bugs that commonly live in house dust. It is classified by two often interrelated conditions, allergic rhinitis and allergic asthma. 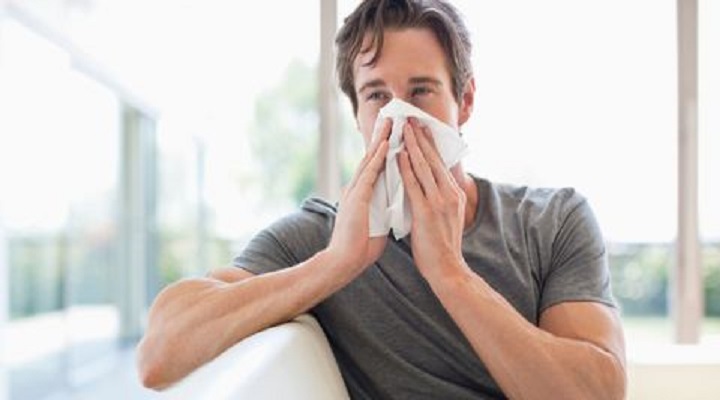 Allergic rhinitisis a type of inflammation in the nose which occurs when the immune system overreacts to allergens in the air, also known as hay fever whereas allergic asthma is triggered by inhaling allergens. Dust mites may be the most common trigger of year-round allergies and asthma. It may not possible to rid home entirely moreover there are ways in which reduce the allergic reactions.Dust mites cause allergies in two ways. The first is through their waste. They produce waste, as they eat, as all organisms do. The second cause of dust mite allergies is the bodies or body parts of these creatures. As dust mites die, their remains stay in place. HDM allergy is a major cause of respiratory allergic disease.Asthma and eczema are main disease, occur by HDM allergies. In asthma, some problems are experienced to patient such as difficulty breathing, chest tightness or pain, trouble sleeping caused by shortness of breath and wheezing. HDM allergies occur when immune system reacts to a foreign substance such as pollen, pet dander or dust mites. Some symptoms of HDM allergies are sneezing, stuffy, runny nose, postnasal drip, cough, nasal congestion, facial pressure or pain, itchy nose and swollen or blue-colored skin under your eyes.The symptoms are typically worse at night and in the morning because dust mites tend to live in mattresses, pillows and bedding. There are various medications are available for the treatment of HDM allergy symptoms, which are; antihistamines, steroids, chromones, leukotriene receptor antagonists (LTRA), decongestant nasal drops or sprays.HDM’s diagnosis is involved skin test/blood test and nasal provocation testing (NPT). In blood test, physicians takes a blood sample and send it to a laboratory and measure the amount of antibodies patient’s blood produces to attack the allergens. Some preventive and therapeutic approaches of HDM allergies are environment control and immunotherapy. Environmental control measures such as frequently washing cats and dogs, air filtration, encasing bedding within impermeable covers, and chemicals can effectively reduce levels of allergens in the home. Immunotherapy is defines by two therapies: subcutaneous immunotherapy (SCIT) and sublingual immunotherapy (SLIT). SCIT provides symptomatic relief while modifying the allergic disease by targeting the underlying immunological mechanism. Allergic rhinitis affects about 1 out of 4 people in industrialized countries like Germany.SQ HDM SLIT-tablet has been confirmed in large trials in Europe (adults) and North America (adults and adolescents), which demonstrates the relevance and robustness of the treatment in ethnically diverse populations, and sets the highest standard for evidence-based HDM allergy immunotherapy. In H2 2018, two groups of major allergens are recognized for HDM allergies. Group1 is glycoprotein of mite, which shows both structural homology and cross-reactivity. Group2 is Der p, which has been cloned and sequenced confirming its nature as a protease. It is estimated that a level of 2µg Der p of dust should be regarded as a risk factor for sensitization and development of asthma. Additionally the higher level of 10µg Der p of dust is proposed as a major risk factor for the development of acute asthma in mite allergic individuals.